If you own or run a web site, you should already know the importance of always having backup copies of your server data. Backups protect you from data issues arising from hard disk failure, the accidental deletion of modification of files, or any kind of data loss due to other reasons. With copies or offsite backup, you can easily copy or restore back the data to replace the file which was accidentally deleted or modified. Here are some of the main ways you can start to back up your server files. While some require basic system administrator skills, others are web-based and could potentially be done by an end-user with some basic experience with web backup tools. Here are the most commonly used tools for backing up Linux servers. For redundancy, we also recommend you back up your server to a seperate storage server somewhere on the Internet such as an FTP server. The most popular tool is probably rsync (which stands for remote sync). Rsync is an open source file synchronization and file transfer program between two servers. Using rsync, you can easily copy your files over from your server to the remote or external server location. In Ubuntu, rsync is already installed by default. More information on how to perform a simple backup of your files using rsync on an Ubuntu server can be found on this article here. There are also some other tools to backup your Linux server and happily, most of the tools, such as fwbackup, Bacula, among others, are open source. Here’s a list of some popular backup tools for Linux. Another method of backing up your files would be to use the conventional way of backup in a Linux servelet: tar gzip the whole content, and then upload it to a remote server somewhere. We also recommend that whichever methods or tools you use, that you create scripts to automate the backup process. For Windows servers, Microsoft has a built-in backup tool called Windows Server Backup. You can use Windows Server Backup to backup the whole server (i.e., all volumes) or just individual selected volumes. However, you can only back up to a locally attached disk, or a remote shared folder, which should be on another servelet in the same network. To send the backup files to another remote location, you would need additional tools such as FTP to send the backup files across. There are some other backup applications and tools on this list. Some are open source (free) and some others are proprietary and commercial products which you have to buy. 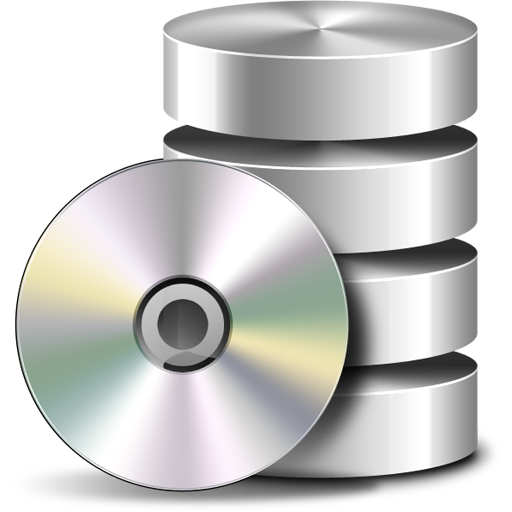 Most of the backup software is available for Windows as well as Linux. If you use server configuration panels to administer multiple web site and email accounts on your server, running regular backups is crucial. The good news is that most panels like cPanel, Plesk and DirectAdmin will already have web-based backup functions with features for scheduling and restoring server and account data. They should also allow you to easily specify whether you back up your data to the same server or to a remote one. Check your panel documentation for details and get started. For customers who use our servelet OS templates, here are the links. If you don’t trust your system administrator skills, or want to largely outsource this aspect of your server management policy, a third-party personal or corporate backup storage plan is another solution. These are web-based accounts that allow you to easily set which directories on your server you want to back up, specific the type of back up, as well as set up scheduling. They should also have easy ways of restoring your files. When evaluating this kind of storage solution, do keep in mind that the back-up process is done over the internet and are subject to the network traffic and the upload speeds between your server location and the storage service provider. It’s a good idea to get a test account for short-term usage to see if you’re happy with the connectivity. There is a list of cloud storage solutions for small businesses here. We provide such a service that combines the backup feature with cloud storage, but it’s only available to our own cloud server and private cloud customers – Idera Online Backup. In addition to being a powerful cloud storage back solution, its proximity to the servers means that backups can be performed regularly, quickly and with ease. It’s easy to configure with our self-service online backup portal using Continuous Data Protection (CDP) technology from Idera (previously known as R1Soft), resulting in faster and tremendously efficient backup process, with the flexibility to adapt different types of backup strategies and requirements. You can select which files you want to backup, and restoration of files can also be done easily and quickly via the online backup portal. More information about our Idera Online Backup service can be found on our website. This entry was posted in Guides & How-tos, SimplerCloud and tagged backup, cdp, cpanel, idera, plesk, windows server. Bookmark the permalink.